April 2006: Besigye at the high Court to answer treason charges. During the year 2008, President Yoweri Museveni's rallying point on his countrywide tours was the eradication of poverty through increased household incomes. However, by year-end, his focus was on the road sector. The by-election for the Kyadondo North parliamentary seat can be described as the last political activity of the year 2008. Top leaders of all the major political parties went there to rally support for their respective candidates. Although the attraction of the national party leaders to the Kyadondo North campaigns may be explained away by the constituency's proximity to the capital city, the verve with which national party leaders campaigned clearly indicates that the by-election represented a serious offer for the taking. Analysts said that the major parties were using the by election to measure up their popular support. And this contest to measure popularity levels is likely to spill over into the year 2009 albeit in different manifestations. Yet behind all political activities are human hands or minds. So, the question to ask is: who are the likely political players to make 2009 such a politically exciting year? The list of political players to light up 2009 may be long; but the problem with Uganda's national political landscape is the overshadowing personalities of President Yoweri Museveni and FDC President Kizza Besigye. In the last two elections in which the two protagonists participated on different sides, any other political player was viewed as disruptive to the opposition's chances or a leveraging element to President Museveni's advantage. However, after the two presidential elections in 2001 and 2006 in which the two men were the main contenders, the challenge is whether other political players have resigned themselves to the position of political bystanders. 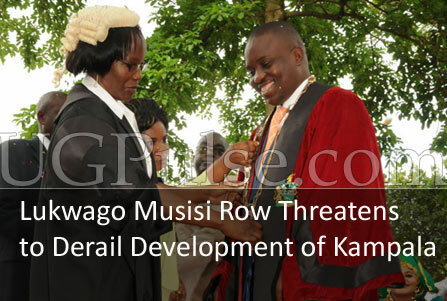 The excitement caused by the forceful electoral brawls that characterised the 2001 and 2006 contests between President Yoweri Museveni and Kizza Besigye are after all not bad to watch from the sidelines. But wait; the Democratic Party's reluctance to join the co-operation of the main opposition groups is already an indication of their refusal to be consigned to the sidelines. DP has expressed reluctance to join the co-operation of opposition groups citing fear of being 'swallowed' by FDC and loss of their national character and identity. This reasoning makes the next DP President General a more serious player in national politics; for he or she will most likely be a presidential candidate in the 2011 presidential elections. Of all the people who have expressed interest in DP's leadership, Gulu District Chairman, Norbert Mao looks like the man on whom to place one's bet for the DP top job. However, in spite of popular (or populist?) support for Mao's candidature for DP's President General, he has kept a relatively low profile at national level. The year 2009 will therefore present Norbert Mao with the opportunity of time to demonstrate his interest for the top leadership of the party; and consequently the country. A cynical analyst has told this writer that by keeping interest in Mao, the Democratic Party leadership has managed to keep Norbert Mao from President Yoweri Museveni's hunting paths. "Museveni has been looking for a charismatic leader from Northern Uganda. And if DP didn't keep their interest in Mao, he (Mao) would have most likely joined NRM. Otherwise, the offer of DP's top job saves the young politician from the ignominy of being viewed as a turncoat by offering to work for (under) the man whose policies he criticised all his political life," said the analyst. For our cynical analyst, Mao faces the dilemma of choosing between being his own man in DP and the indignity of serving under a domineering President Museveni. In all estimation, Norbert Mao's ambitious political career would be served better in DP than in the NRM. If he is really interested in DP's top job, Mao will have to rediscover himself and come out with all guns blazing. But that would mean DP would not join the opposition's co-operation; because 'DP President General' Norbert Mao would have to fata nyao of the party position on the co-operation. The most significant aspect of Mao's leadership at DP (if or when he is elected) is that because he comes from party ranks, he would be operating under the superintendence of the party; thereby engendering a conventional scenario where party structures supervise their leadership. This is opposed to Dr. Besigye and President Museveni whose personalities overshadow the party dynamism because of their founding patron status. Another politician to watch in 2009 is Mugisha Muntu. Our assumption is that Forum for Democratic Change's Delegates Conference will assign (or elect) him to a position that comes with more visibility than his current position of Party Organising Secretary. The amiable former Army Commander is expected to be in FDC's succession queue. But to consolidate his countrywide likeability, Mugisha Muntu will have to up his act and show some 'hunger' for the job. In fact Muntu's likely new assignment will come as a part of the FDC's general view or acceptance of life after Kizza Besigye at the top. FDC is likely to pick Besigye as their presidential candidate for the 2011 elections. However, the offer of FDC's ticket is most likely to be on condition that it will be Besigye's last chance. Which means all the people elected during the next FDC Delegates' Conference will exercise substantive power with lame duck Besigye on his way out. Whereas the people who were elected to positions of leadership at FDC's 2005 delegates remained in the shadow of the larger-than-life personality of Kizza Besigye, the people who will be elected in the next delegates conference are likely to be treated as heirs-apparent. So, the electoral dynamics during the FDC's Delegates' Conference (in 2009) are likely to reflect the fact that the party would review its leadership if Kizza Besigye loses the 2011 elections. That is why the FDC's succession queue will come out. The biggest challenge for Besigye will be to accept as irreversible the fact that he has to leave the executive leadership of the party after 2011. Needless to say, President Museveni would be relieved to have a new and less-abrasive challenger in 2016. Because of these dynamics, the year 2009 will be Dr. Kizza Besigye's year. At the delegates' conference, he will most likely anchor his candidature on the premise that he should be given a last chance to tussle it out with President Museveni. As Chief Executive Officer of 'Uganda Inc', President Museveni will still be a critical player in 2009; not only as the administrative executive of the country but also a political player. During the year 2008, President Yoweri Museveni's rallying point on his countrywide tours was the eradication of poverty through increased household incomes (misrepresented as 'prosperity for all'). However, by year-end, his focus was on the road sector. Given the huge investment in the road sector in the Financial Year 2008/09, President Museveni is likely to ride on the development of roads to reach the minds and hearts of the populace. Unlike socio-economic development programmes like NAADS whose results may be intangible, the development of roads (more of national investment than community benefits) is more tangible. Actually the development of infrastructure like roads, hospitals and schools represent a better rallying point (not to forget the value of their legacy) than enriching people (most likely selected partisan cadres) under whatever social development model. 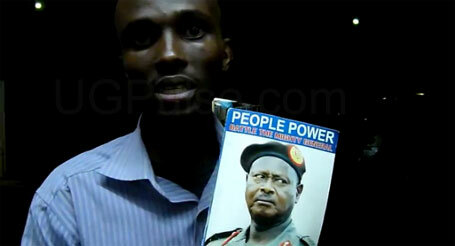 With all eyes focused on the 2011 elections, President Museveni will be more visible in 2009. It is the only (read last) year in which Museveni can make 'political' administrative actions without appearing to be electioneering. Another politician expected to be very visible in 2009 is the hitherto fence-sitting Amanya Mushega. He is likely to gravitate towards FDC where he would be expected to take up a senior position. Mushega is the immediate former Secretary General of the East African Community. Before that appointment, he had held senior cabinet positions in President Museveniu's government. Since the expiry of his tour of duty in Arusha (East African Community's Headquarters), Mushega has been fence sitting politically. However, in an early December interview with a local weekly, he expressed his willingness to work with FDC albeit in a subtle way. The year 2009 will give him an opportunity to come out openly as an opposition politician. Behind every political player, there are aides and advisers who may sometimes act as political players themselves. So, we have people like Mukasa Mbide of the Young Democrats, Beti Kamya, Erias Lukwago, FDC Vice Presidents Salaam Musumba and Prof. Latigo Ogenga who are likely to be more visible as the count down to the presidential elections draws near. And as MPs Nabila Nagayi (FDC), Henry Banyenzaki (NRM), Dr. Chris Baryomunsi (NRM), Margaret Muhanga (NRM), Regan Okumu (FDC) clamour for bigger roles to play in their respective political parties, they are likely to remain visible in the year 2009. There are unconfirmed rumours that Busongora South Member of Parliament Chris Kibanzanga (FDC) wants to stand for the District Chairmanship. If it is true, he will use the year 2009 to re-position himself for the new task; which is likely to make him more visible. There is also State House's Moses Byaruhanga who is rumoured to be eying a Parliamentary Seat for a Kampala constituency. By the end of the year 2009, he will have come out in the open to declare his intentions. Asuman Bisiika is a senior journalist and political analyst on Ugandan and Great Lakes regional affairs. He is also a panellist on several radio talk shows in Kampala. Bisiika is currently a private media consultant attached to Ultimate Media Consult (U) Ltd.